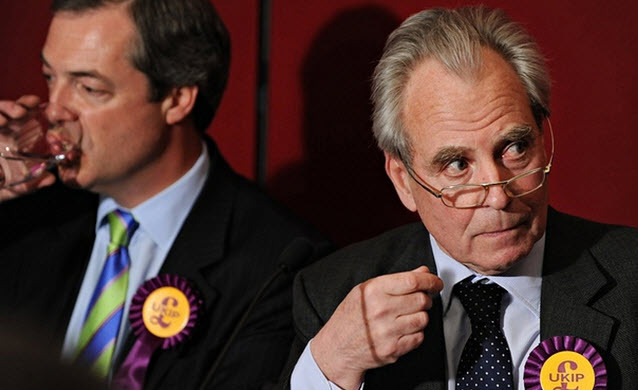 UKIP Peer, Lord Pearson of Rannoch, is set to ask a question in the House of Lords on the 27th of January 2016. This question may have been posed in relation to the categorisation of anti-Muslim hate crimes as a specific category in the recorded crime statistics from April 2016. This will take place after April 2016 and was highlighted by a Home Office Minister on the 12th of October 2015. How this will be implemented is the subject of much work at the moment. Lord Pearson has previously been in the news regarding his invitation to controversial Dutch Freedom Party leader, Geert Wilders, to show the film Fitna in 2009. The film was eventually shown in the House of Lords in 2010. Whilst the question is directed for a formal response from Her Majesty’s Government, we though we would provide our response to the question that brings into play the issue of anti-Muslim hate crimes. Reading sections of the Bible at a street corner will not be regarded as an anti-Muslim hate crime. Anyone suggesting that this may be the case is misinformed. Muslims are ‘not sensitive’ or taken aback by people reading any holy book, unless they have sympathies for groups like the now banned Al-Muhajiroun. Indeed, we live in a plural society where people my fundamentally disagree and take approaches to their faith which are fundamentally different. Lord Pearson will also find that Muslims regard Jesus as being revered as a Prophet of God. To suggest that they will report in a reading of the Bible as a Muslim hate crime, will warrant, we believe, one response from Her Majesty’s Government – a simple ‘No’. The post Lord Pearson of Rannoch’s Question in the House of Lords appeared first on TELL MAMA.